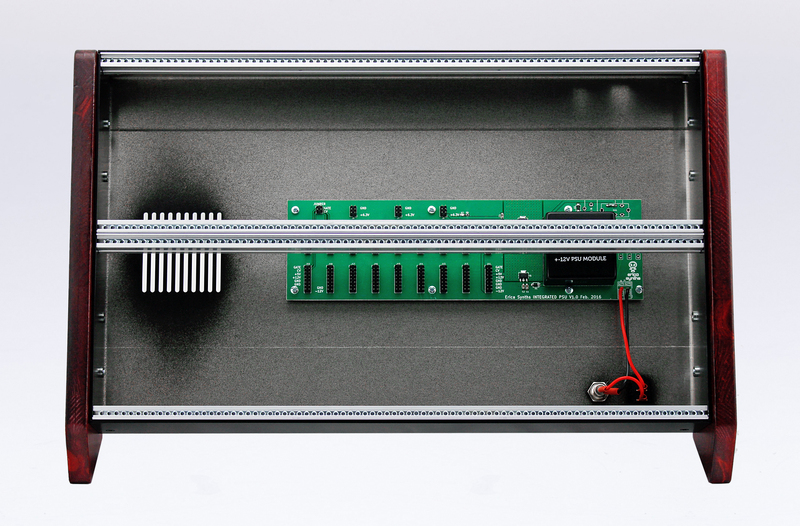 This case has integrated Erica Synths PSU capable of 1.25A per rail (2.5A total). As standard 65mm deep enclosures come with black horizontal or vertical side panels and two power distribution rails with 13 connector sockets each. 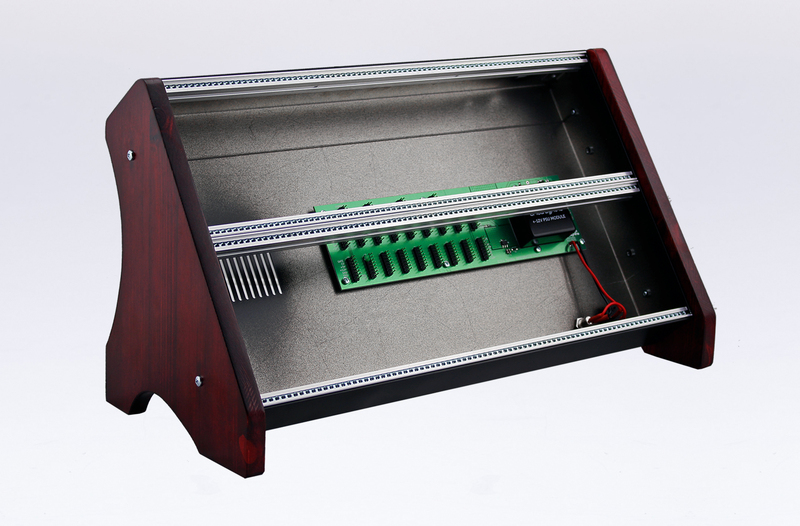 Skiff case can be used with modules up to 45mm deep – most of skiff modules available from leading producers will fit there.